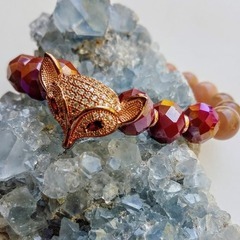 Sweet celestial fox in copper tone with white inlay of rhinestones and ruby red glass crystal eyes complimented by 12mm red Czech glass with Aurora glaze. 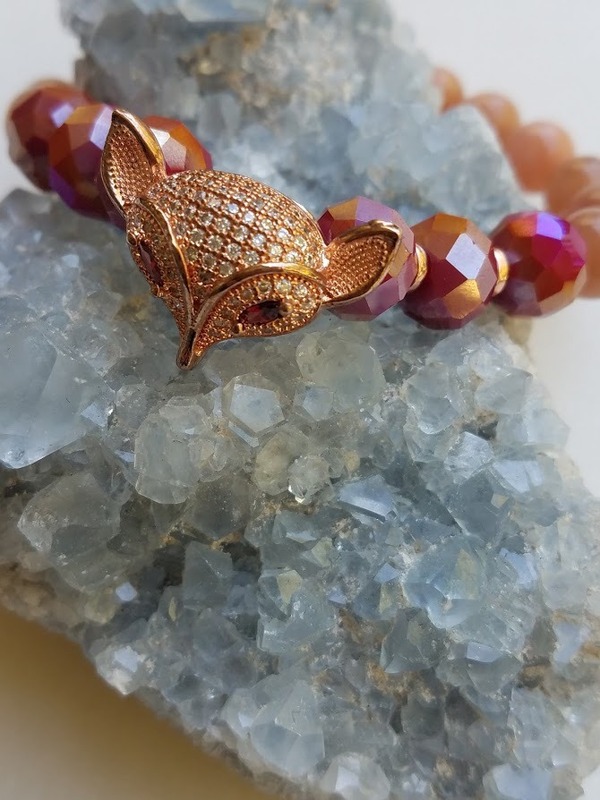 Paired with 8mm sunstone with glimmering gold flashes - makes this bracelet stand out. 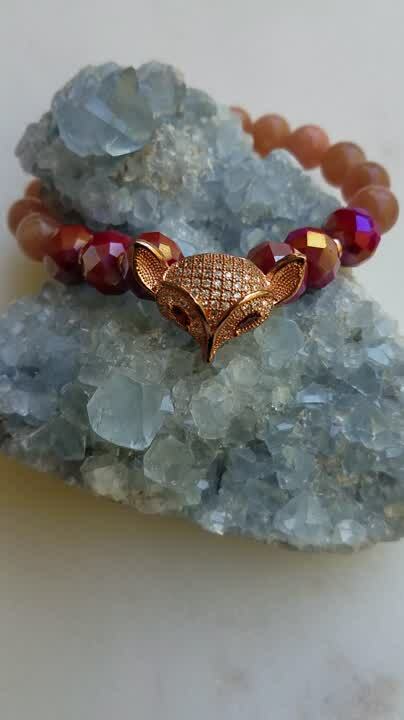 One of kind & sized one size fits most wrists at 7.24"